Several months ago before I put my blog on hiatus for family reasons I received this great book for my daughter. It is a series of daily stores and bible versus for children. 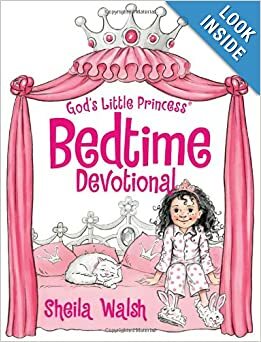 The stores are written so that they are very relatable to children and also have the bible versus and an explanation of the verse. Now I was a little skeptical at first because lets be honest what kid is really into reading bible verses-none (or almost none). Well this book was a lovely surprise. The book is written to appeal to the princesses, which my little lady certainly is. The book has a variety of stories and morals to learn through the bible verses. 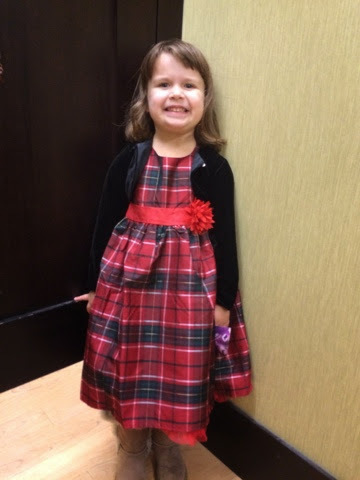 It was very creative, with super cute photos, and very appealing to my little lady. Miss J is only four so some of these went over her head but a lot of the stories were really on point for a young child. I though this was a great way to introduce some of the positive teachings of the bible to a young child. Although we are religious and attend church we are not a family that reads the bible regularly or is involved in daily bible study. This I thought was a nice way to introduce faith and the bible to my young daughter who is not yet attending religious education. 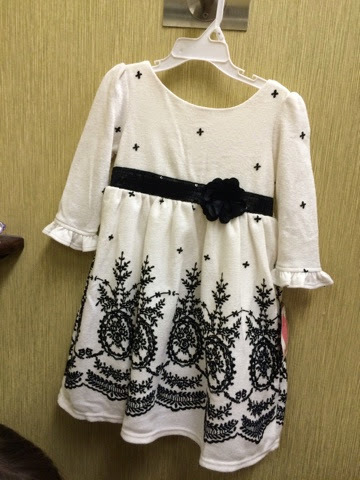 I think this would make a nice gift for the upcoming holidays or for any girl who is making her first communion soon. I also think that it bares pointing out that this book is appropriate for various Christian faiths. For example the author of the book and my religion are not the same but I felt the book was a great fit. My only complaint is that as of when they sent me the book a few months ago they did not have a boy version. As regular readers may have noticed I have been posting but not a lot about my weight. There are a few reasons for that. Mainly it is because there is nothing to report. I am not loosing weight or gaining weight I am just hovering within the same ten pounds give for take for the last six months or so. Sometimes it pisses me off, sometimes I don't care. At the end of last school year and the start of this one I have been very blah about my weight loss. Not that I am blah about knowing I need to loose weight just not mentally there. I have been going to weight watchers with a dear friend because we both need the support, but I haven't gone in two months. Sometimes because soccer, dance, and ccd on Saturday Am's makes it tough but sometimes because I am not into it. For me, I just needed to get my head right. I was really negative about everything-including my weight. I needed some time to start feeling better. I have been putting an effort into feeling confident in my clothes and my own skin and I have been coming a long way lately. I also know my binge eating has come back with a vengeance and if I am not careful getting crazy with weight watchers makes that even worse. Yet, no excuses I am not loosing weight because I am not working at it right now. Now back to this place. I have said a lot of times I missed this place. I missed the comfort of posting here brings to me. Both the reviews of products and books (I just got an awesome children's book in to review today). I like that this place gives me something to be other than just Mama Hunt or Mrs. Hunt. Yet I was staying away because I felt I should be posting about my weight loss journey and I didn't want to because there wasn't one. 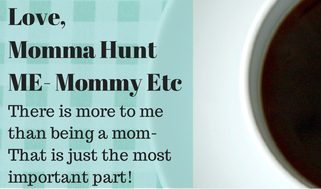 I know bloggers step away from their blogs all them time...but it wasn't like I wanted to. I was feeling the pressure to post about things that were not my focus then I realized something. HELLOOOOOOO this is my blog. First of all I am not a brand or some famous person. This is my place...so who cares. So there is the update.....I don't think I am going to talk about my weight loss here. I may give updates occasionally but maybe not. Just like being a mom isn't the only aspect of my life...neither is weight loss or weight gain. Do any of you who blog feel like you get pigeonholed into talking about certain topics?? About a week ago I got an email from the good folks over at Cluck-n-Moo. After I looked into their product and reviewed that they are one of the good guys in the food movement I couldn't wait to work with them. 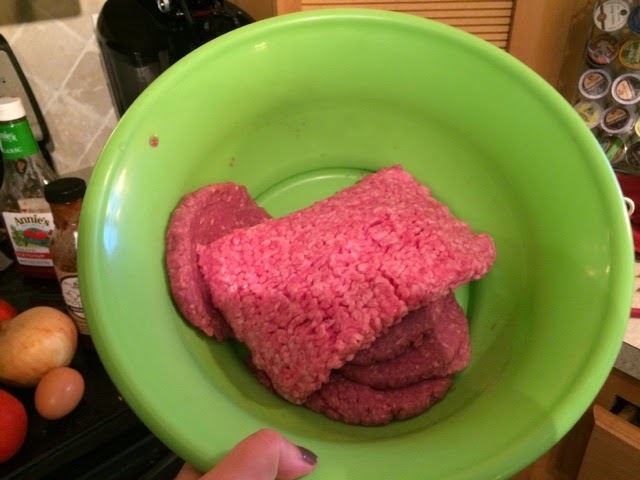 Their product is a combo of ground chicken and ground beef. The animals were grass fed (beef) and were antibiotic and hormone free. 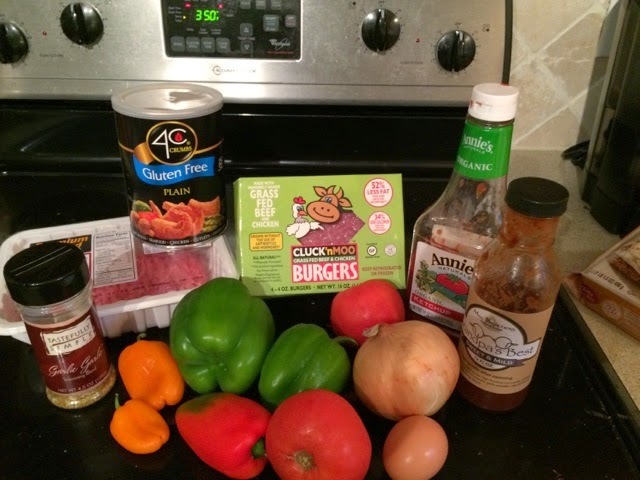 They sent me four patties to try but I decided to create a new recipe instead of just using the burgers as is. 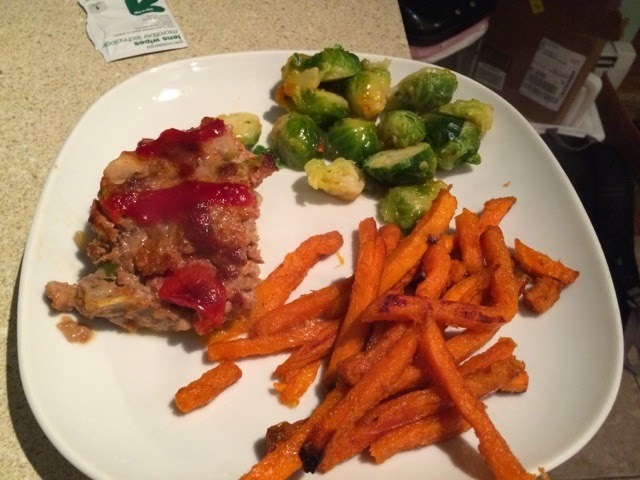 So below is my recipe for Veggie Loaded Meatloaf. 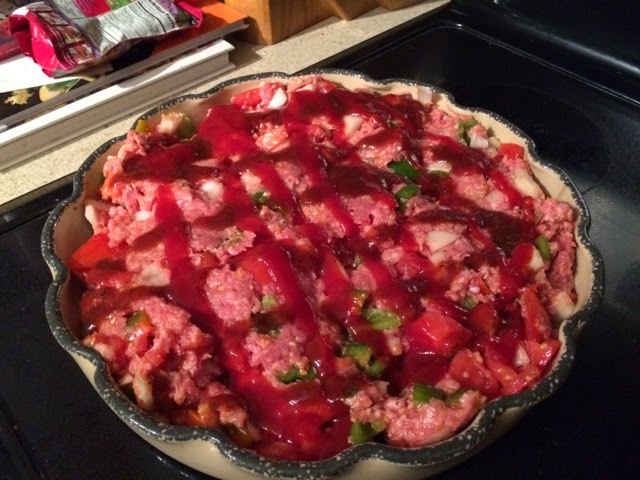 All the ingredients: One Pound Cluck-n-Moo, one pound ground pork, two large peppers, three tomatoes (one is hidden behind the Cluck-n-Moo, a large onion, garlic, BBQ sauce, ketchup, and bread crumbs. 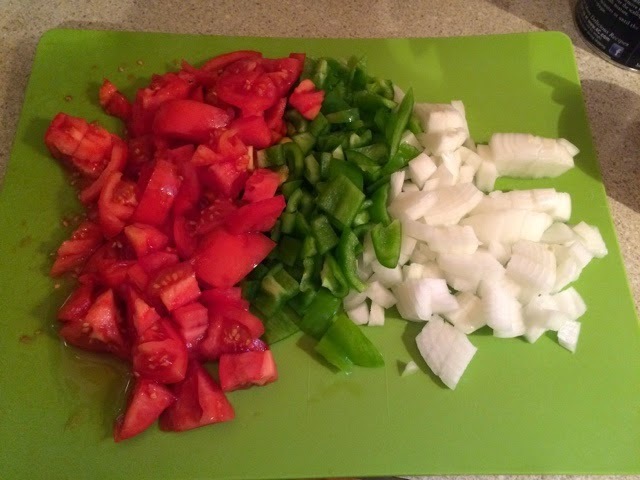 All veggies except the onion are from my garden. 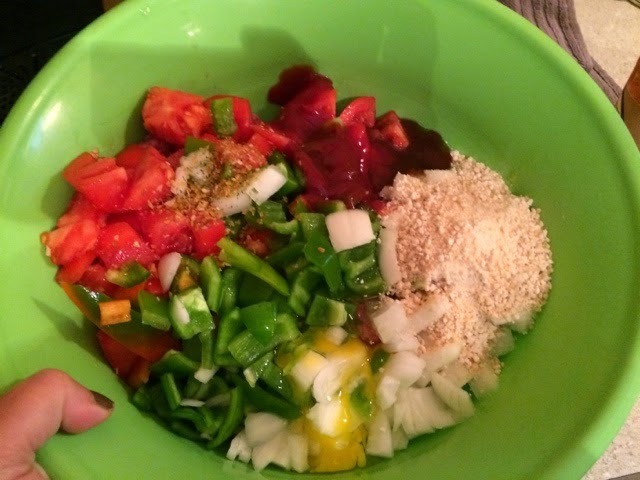 Step Two: Next add in about a half cup of breadcrumbs and the egg. Overall I loved the Cluck-n-moo product. 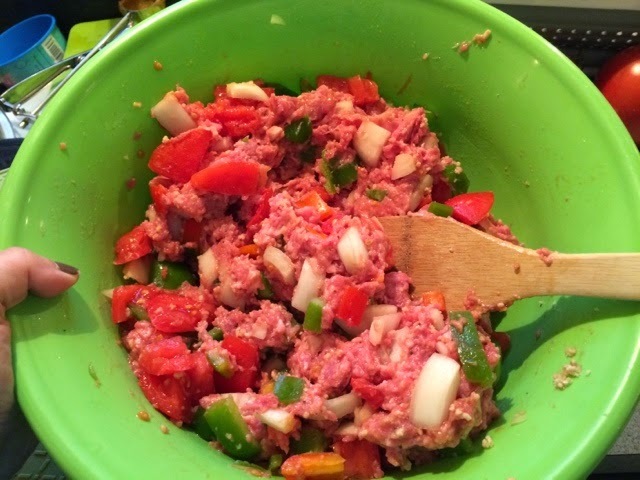 It had a great flavor but it was also a moist meat which made it great from the meatloaf. This is a nice way to have a healthier option then just regular beef but without loosing the great flavor of using just grass fed beef. So next time you are at the market keep an eye out for Cluck-n-Moo at your local store. If you are wondering if Cluck-n-Moo is in your area check out their website here and type in your zip code. Also thank you to the Cluck-N-Moo folks for giving me a sample of their product to try for free and to write my thoughts on their product. 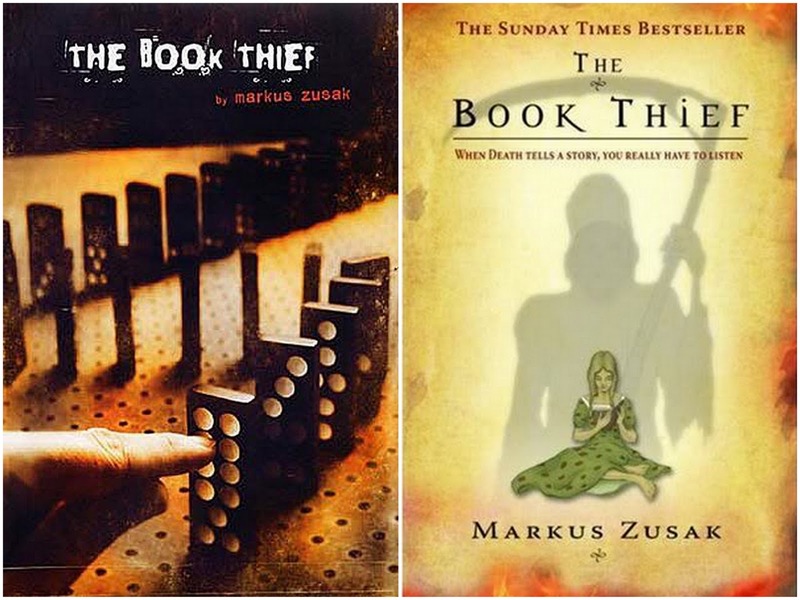 One of the last books I picked up over the summer was The Book Thief. I had noticed that several of my friends were reading and suggested it as a good read. It also made a few lists of the books you need to read before you watch them. I am so glad I did this is one of the best books I have read in the last few years and I would recommend it to anyone. One of the best aspects of this book was the unique points of view. The entire book was written from the point of view of death. It was interesting to think about and see what death would be like if they were a person and their take on what it means to usher someone from this life to the next. In addition to the unique viewpoint of the book that characters in this novel were amazing. Anyone who has read my reviews knows that I am big on the characters in the book. Not only in this book was a immediately attached to the main character Liesle but the secondary characters as well. I was drawn not only to the relationships between the characters I was drawn to them individually. I can honestly say in the sadder moments of the books I openly wept. One of my favorite characters was that of Liesle's best friend and almost boyfriend Rudy. He reminded me of many of the boys that have drifted through my life over the years and I wanted so much more for him. I think it also is worth noting that the basic story of this book, which is told during the holocaust, has been told a 1000 different ways. Being a history buff I have read countless accounts, novels, memoirs of the holocaust . To me this novel brings a whole new feel to the story not only with the character work and storyline but again the book being told from the point of view of death was key. There was something breathtaking about hearing death describe his work during those most tragic of events during the holocaust.